Situational dependant. Many will say screwed to the turntable but how do you justify the operator standing watching as say the OVM struggles by themselves with a 300 lbs victim. Dressed always. I always found if I did not get dressed from the git go driving the truck eventually I was somewhere without gear I really should not have been. I agree with Kevin. I even wear a pack if time allows, I’m one of the busiest drivers you will find, because I know what my boss wants, and expects … he does not have to ask, we’ve been working on the Vulcan Mind Meld for years, if you don’t get what I am saying then you haven’t been around very long. How many times have you looked at a situation and knew what need to be done? I am willing to bet if your reading this column it has happened pretty often. I’m not advocating free lancing, but knowing what is needed and being prepared to produce that which is needed prior to the asking will expedite the task at hand, and possibly save brothers from an unnecessary beating … or, you might be busy eating a snack, in which case someone needs to pimp slap you so you get your mind right! As always, stay low and stay strong brothers. If your running in a minimal manned company (3 or less) everyone has to be a soldier. 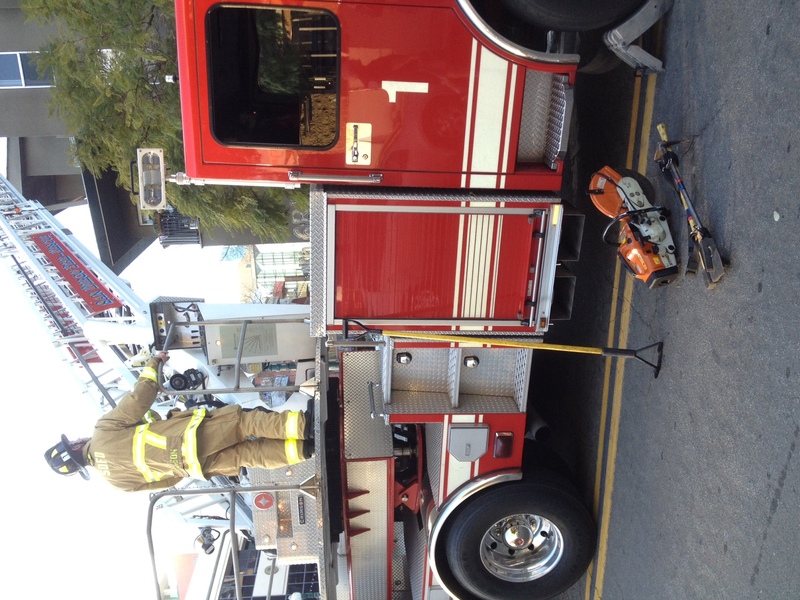 The Ladder operator/driver should be in full PPE and SCBA if possible, and be a mobile individual able to tackle a variety of tasks that are prioritized to meet the incident. One of the things our drivers always do upon arrival is get there spot and throw down the outriggers and set the ladder. That way if it is needed all they have to do is climb up to the turntable, and put the stick up.